When I made the announcement that I was pregnant a few months ago, some people asked me if that means I will be moving back to Texas. My answer of course is a resolute no. I love New York City and have no plans on moving — at least not anytime soon. But on the real though, we did not think we’ll be here this long (October will be our 6th year anniversary), let alone have a baby in the city. 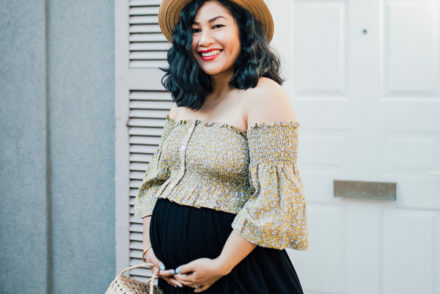 It’s no secret that cost of living in NYC is not cheap, so I always thought my timetable for being here was limited to when hubs and I decide we’re going to start a family. Only really rich people have kids and live in Manhattan, right? Well that’s not really true. Not long after I moved here I met a good amount of people who are successfully raising kids in the city. And they’re not rich trust fund babies or hedge fund managers either. For obvious reasons, city dwellers just live a different lifestyle than their suburban counterparts. You don’t have backyards, so you go to the public park instead. And parents take the bus or walk their kids to school instead of driving (kick scooter seems to be a must have for city kiddos so they can keep up with their parent’s walking pace and not tire out too easily). One big mental shift I had to make in family planning is the living situation. For the longest time I thought that I should have at least a two-bedroom before we even start trying. I’m glad we threw that idea out the door because it took us nearly two years to get pregnant. That would mean that we would’ve been forking out extra rent money for no good reason. After I got pregnant though, we still decided that we’re going to stay in our one-bedroom for at least a year — mostly because it’s the cheaper route to go. But it turns out that staying put is also better for the baby. American Academy of Pediatrics recommends that babies sleep in the same room as their parents for at least the first six months (ideally for one year). Doing so can cut the risk of Sudden Infant Death Syndrome or SIDS by 50%. That’s a pretty good bonus benefit. I’m pretty lucky to be living in a sizable apartment that enables us to fit all of the baby’s stuff in our bedroom. But still, some adjustments had to be made to do this. Read on to see how we merged our existing furniture with the baby’s. Oh also, did I mention that there will be a Davinci Baby Crib giveaway at the end of this blog? This was probably the most annoying adjustment we had to make as our bed frame is actually attached to the wall. I briefly considered getting a basinet, which required less space. But typically the longest that babies can stay in them is 6-months. As soon as they can sit up, the basinet will be too shallow and you’ll have to switch to a crib anyway. So I decided to skip the basinet and go straight to a crib. I opted for Davinci’s Colby 4-in-1 Convertible Crib since it has a built in trundle drawer and I’m all about that extra storage. One thing that I didn’t realize before doing all my nursery research is how minimal and careful you’ll want to go inside the actual crib. Basically all you need is a good quality firm mattress and fitted sheet, as anything extra you put in there could pose a suffocation risk (Pawlette the Bunny is getting evicted as soon as the baby arrives). I went with Nest Bedding GOTS certified organic crib mattress and couldn’t resist splurging on some adorable Rookie Human fitted crib sheets. Another thing you need to be careful about is what wall decoration you put above the baby’s crib. 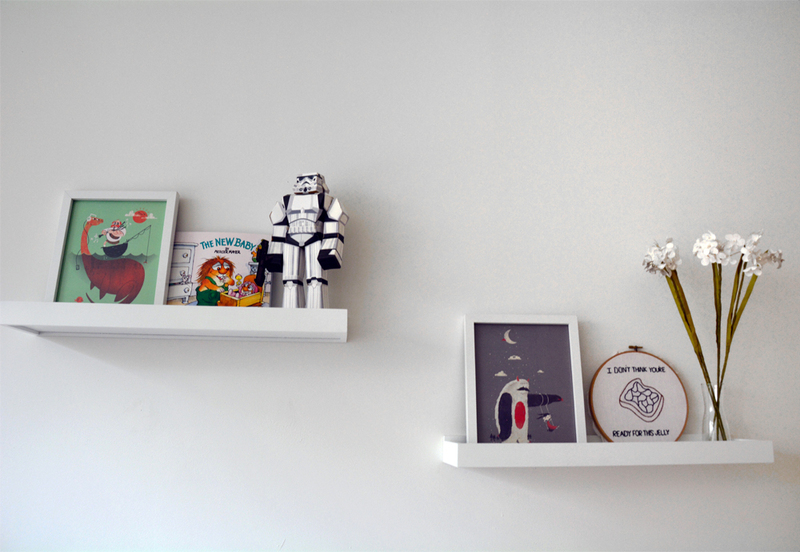 You’ll want to avoid putting anything heavy (read: glass framed art) above the crib. If you’re insistent on putting a framed art, you might want to consider frames that uses lighter plexiglass instead. 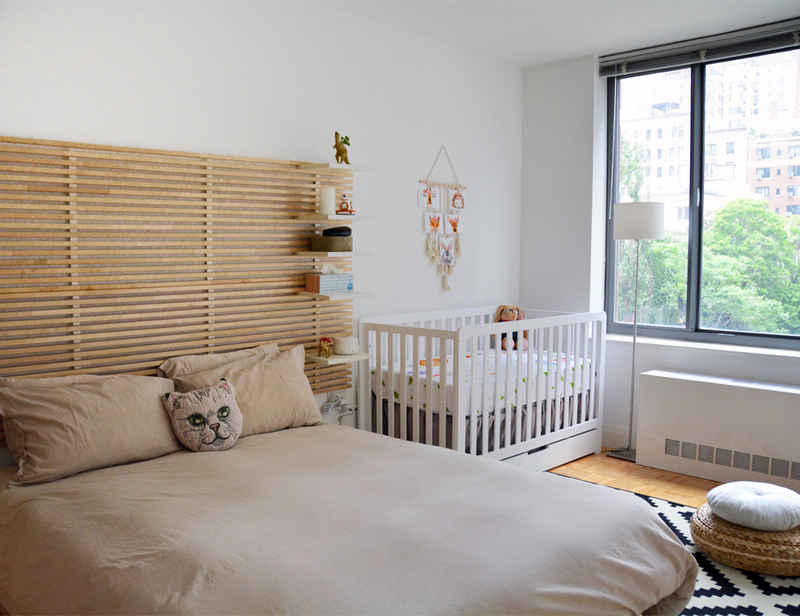 Also, you’ll want to pull the crib just a tad just in case the frame falls. 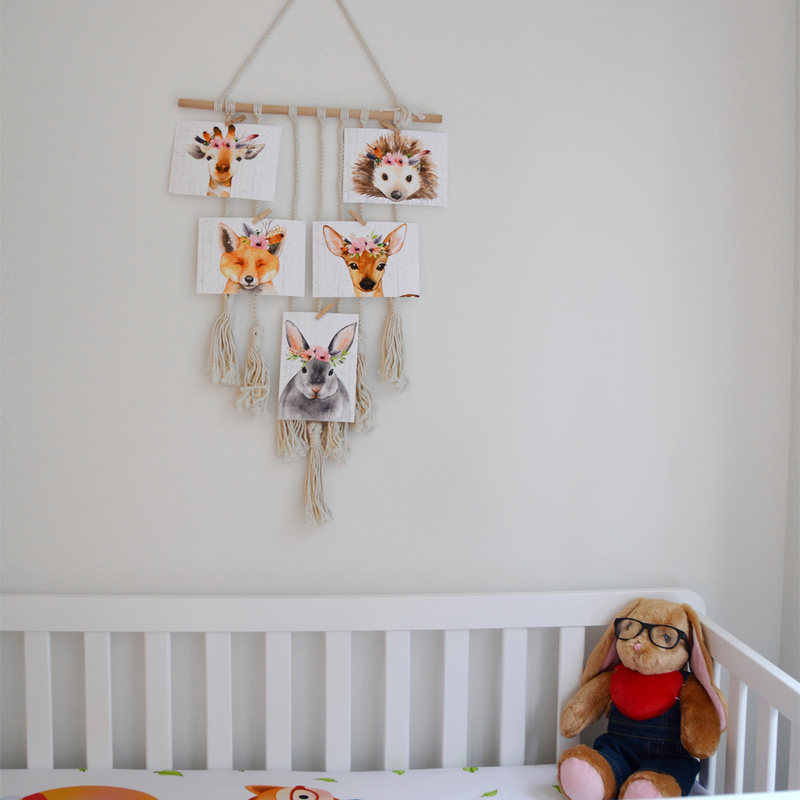 The thought of a heavy frame falling on my baby girl is just too much (yes I’m a total worry wort) so I chose to hang printed art on a light macrame photo organizer instead. I knew we were not going to have enough room to add a big dresser with a built in diaper pad, so our solve was to put the pad on top our current dresser. Prior to, the top of the dresser houses my accessories and jewelry. My initial thought was: ok so I’ll just have to scoot that stuff over to the right to make room for the diaper pad and maybe I’ll also have to condense some things. Boy did I underestimate how gigantic that pad is going to be. As soon as it came in the mail I knew that I will basically be giving up the entire top of the dresser (I ended up getting a wall mounted jewelry armoire to store my accessories). I was a bit less strict about the items that I place on top of the changing area. I just made sure they’re mounted high enough that the baby won’t be able to reach and grab anything while I’m changing her. 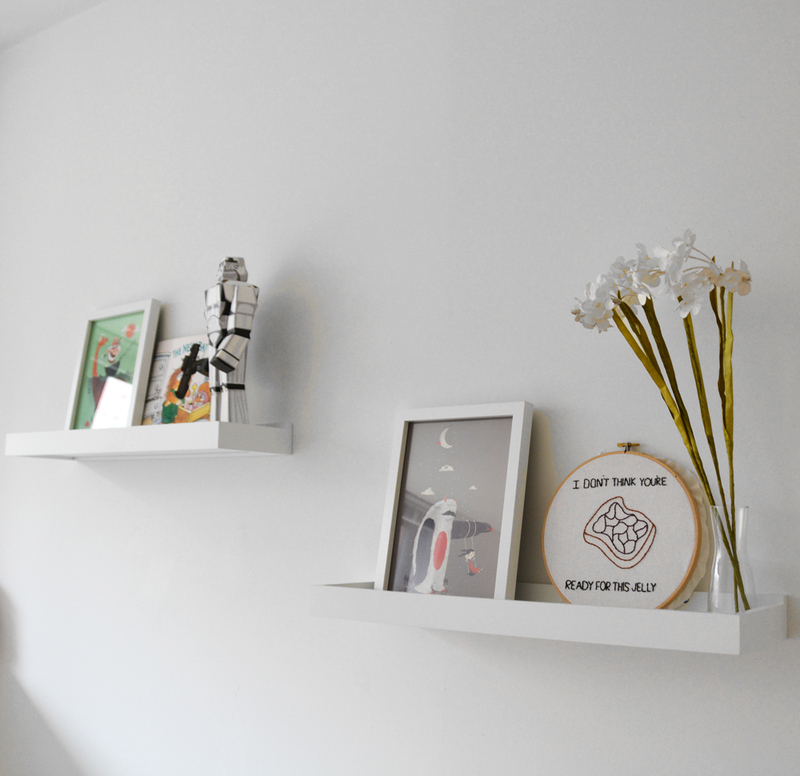 I did make sure to get a floating shelf with a lip so it reduces the risk of items slipping and falling off the shelf. One thing I feel is also a must have is a good diaper pail. Since it will be literally a step away from my bed, I made sure to research the crap (pun intended) out of this and settled with the Ubbi diaper pail. Not only are they highly reviewed for odor-locking, I also like that it doesn’t require any special bag. Money saving bonus! Now time for the best part of this blog post: the giveaway! One lucky winner will get themselves a their pick of either the Carter’s Colby 4-in-1 Convertible Crib or a Davinci Baby Crib of equal or lesser value. Sweepstakes begins Friday, June 1, 2018, at 12:00 a.m. EST, and closes on Friday, June 15, 2018, at 12:00 a.m. EST. Contest is in no way sponsored, administered by, or associated with Instagram, Facebook, Twitter, or YouTube. Also in a one bedroom apartment here! I’m liking the Kalani 2-in-1 Mini Crib and Twin Bed. My favorite is the Fairway 4-1 Convertible Crib. I like the rustic farmhouse look. I would get the Piedmont 4-in-1 Convertible Crib with Toddler Bed Conversion Kit, love that it would adapt to the growing baby. I would choose the Jenny Lind 3-in-1 Convertible Crib with Toddler Bed Conversion Kit in Lagoon. I love the Grey and White one–the combo of the two colors looks nice! I really love the Colby 4-in-1 Convertible Crib in white. It just looks so clean and fresh. I’m digging the grey and white Colby convertible crip. I would choose the Grey but love them all. White for my new little boy due in November! I really love it in all over white. It looks so crisp and bright. I’d choose the grey. It looks very nice and cool for a boy. I would get the grey one. I like the Grey colored one! This is so nice. Just found out we are pregnant with our second this past Mother’s Day! I love the grey. This is so unique and beautiful. I like the clean, crisp look of the white finish best. I like the grey color and I will pick that color.